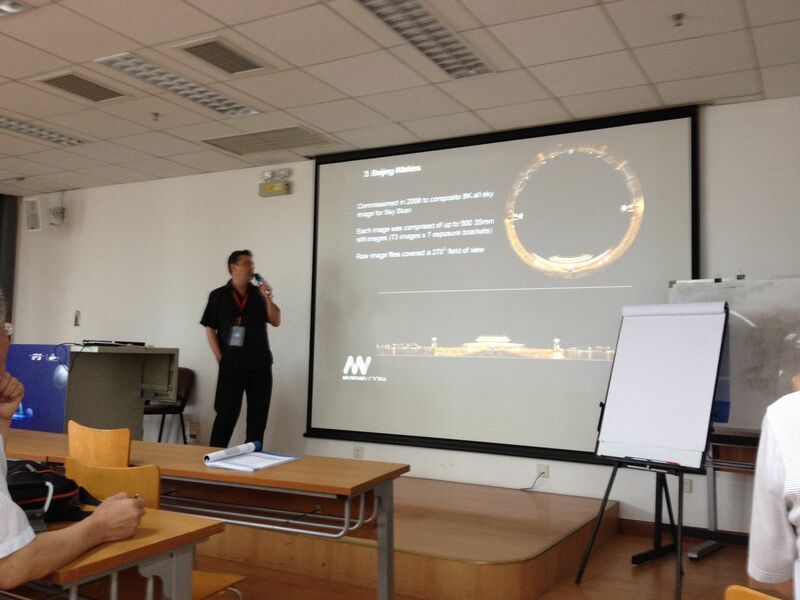 During the IPS2014 conference all three attendees from Museum Victoria presented papers. 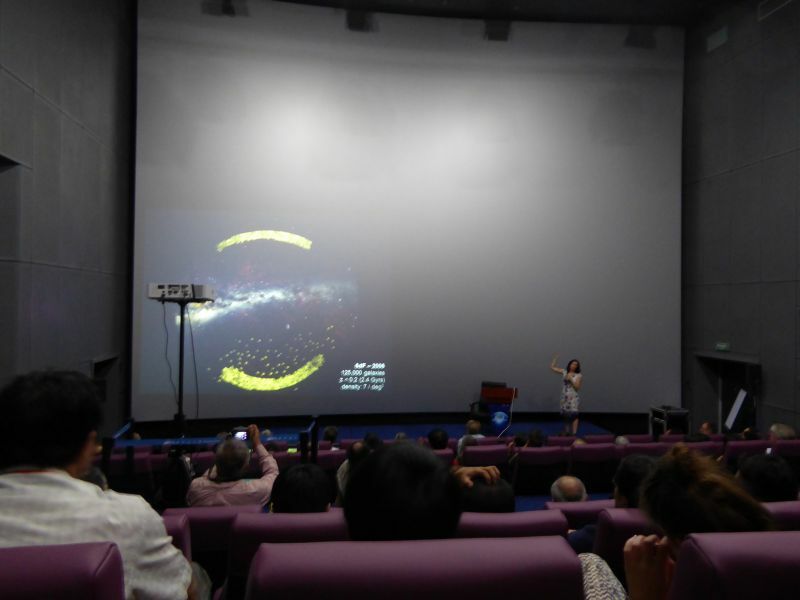 Tanya Hill presented – GAMA: A new astronomical dataset exploring cosmology and galaxy evolutions. This paper was very well received as Tanya demonstrated how planetariums can now work directly with astronomers to bring their datasets into the dome. Following her paper, Tanya was interveiwed by a local Chinese television station. Warik Lawrance presented – More than 180. This paper looked at the range of lens sizes that can be used in fulldome production. And finally Andy Greenwood presented – Breaking the Cycle: a case study of innovative change. Which looked at the new leasing structure Andy designed for the hardware at the Melbourne Planetarium. And of course this included his now famous ‘bathtub curve’. This entry was posted in Uncategorized and tagged Beijing, IPS, Melbourne. Bookmark the permalink.